Horse riding is a larger-than-life adventure that transports you to a different time - one with fewer distractions and a lot more magic. 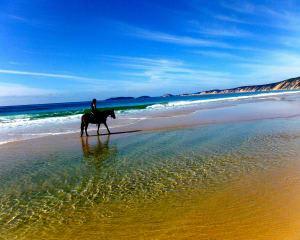 The views you'll encounter on these horseback tours are epic. 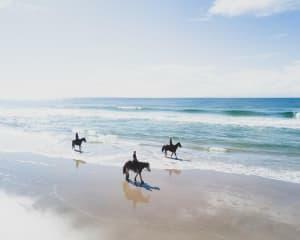 From striking Blue Mountain horseback scenery to hidden beaches and magical bush rides, Australia's best horse riding excursions invite you to explore the most striking scenery on the planet. 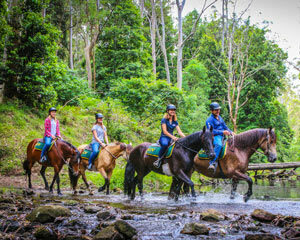 A Trail for Everyone: No Horse Riding Experienced Required! 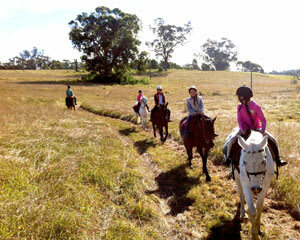 Even if this is your first time in the saddle, our horse riding experts and friendly horses make the journey easy. 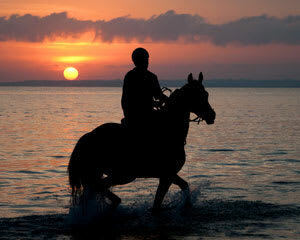 Many of these horseback experiences include quick and easy training sessions to get you started. Before the adventure’s over, you’ll be walking, trotting and cantering like a pro! 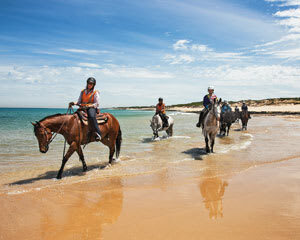 And for you more experienced horseback riders, we have several free-range journeys where you can chart your own course. Either way, you’ll be paired with the right steer or mare to meet your desired thrill level. Blue Mountain horseback rides offer up towering cliffside views and misty trails so spectacular you’ll feel like a character plucked out of one of Tolkien’s novels. 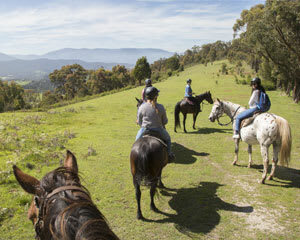 Equally impressive are our Glenworth Valley horse riding adventures, situated just an hour out of Sydney. 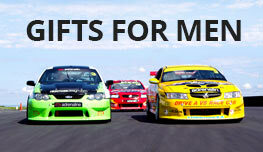 Highlights here include lush rainforests and frolicking fauna such as wallabies and kangaroos. These nature trails are among the liveliest on the globe. Without a doubt, these are the most romantic trails in Australia! Saint Andrew’s Beach rides offer postcard Pacific views and an endless supply of memories. Take in the sun’s shimmering reflection as you and your special someone trot over sandy dunes and bond with your animal. 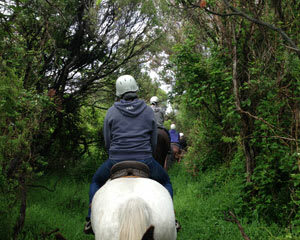 Horse riding in Tasmania sends you deep into the bush. Surrounded by old-growth eucalyptus, you’ll navigate your horse through dense vegetation until eventually making your way to a clearing with awe-inspiring views of Cradle Mountain. Even when you’re not holding the reins there’s lots to look forward to! 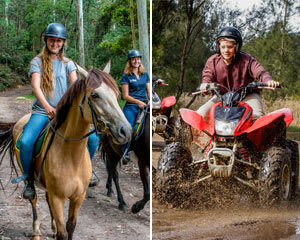 Many of our horse riding experiences are bundled together with other big activities such as quad biking in Sydney, hot spring getaways and, for the thirsty traveler, Melbourne wine tastings and even a pub ride! 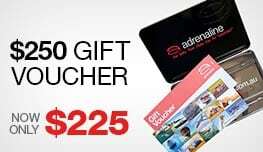 Book your horse ride today or surprise a loved one with a gift voucher!